The city of Dubuque, settled on the west side of the Mississippi River in 1833, has historically been home to four major railways and numerous trolleys and passenger trains. Dubuque's railroad legacy was precipitated by local resident John Plumbe Jr., the Father of the Transcontinental Railroad, who proposed a transcontinental railroad in 1838 and promoted the idea throughout the Midwest. The Illinois Central Railroad first reached the east bank of the Mississippi in 1855, followed by the Milwaukee Road, the Chicago and Great Western, and the Chicago, Burlington and Quincy Railroads. 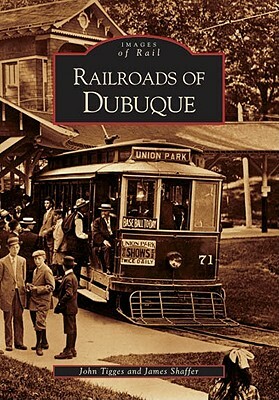 This book uses rare photographs and historical text to chronicle the development and heyday of these four pioneering railways, as well as Dubuque's many trolleys and its two funicular railroads. While the glory days of Dubuque's railroads may have passed, the legacy they brought to the city lives on, and is evident in the Fourth Street Elevator, which remains the world's shortest, steepest railroad.